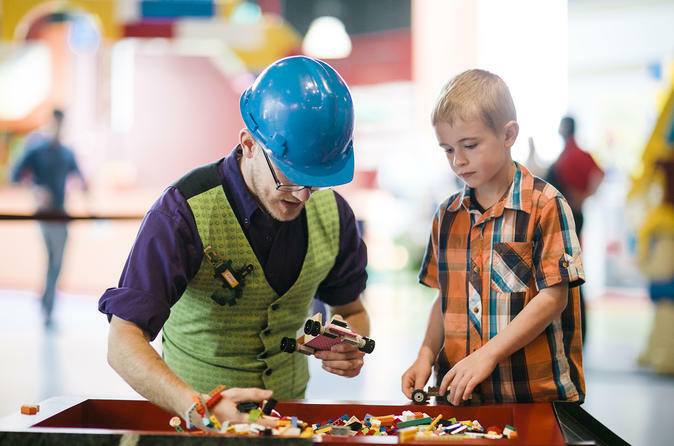 Unleash the kids — and their imaginations — at LEGOLAND® Discovery Center Arizona. With this admission ticket, you'll have access to plenty of entertaining attractions to keep the whole family busy for a day of LEGO®-building fun. Visit a virtual LEGO Factory, find iconic Arizona attractions and your favorite local buildings at Miniland, build with soft bricks at the DUPLO® Farm, or turn up the volume at LEGO Racers. Rest your legs at the 4D cinema before tackling LEGO rides like Merlin’s Apprentice. Located in Tempe, approximately 10 miles from Phoenix, LEGOLAND Discovery Center is an indoor attraction ideal for children aged 3 to 10. It’s one of the top things to do in the area for kids and their families. Special Offer - Price displayed includes a 7% discount off the local admission price! - Book Now!